PSAV, a leader in trade show and on-site event technology, needed a compelling marketing piece to grab the attention of top prospects and to communicate its unique position as a technology leader within the industry. 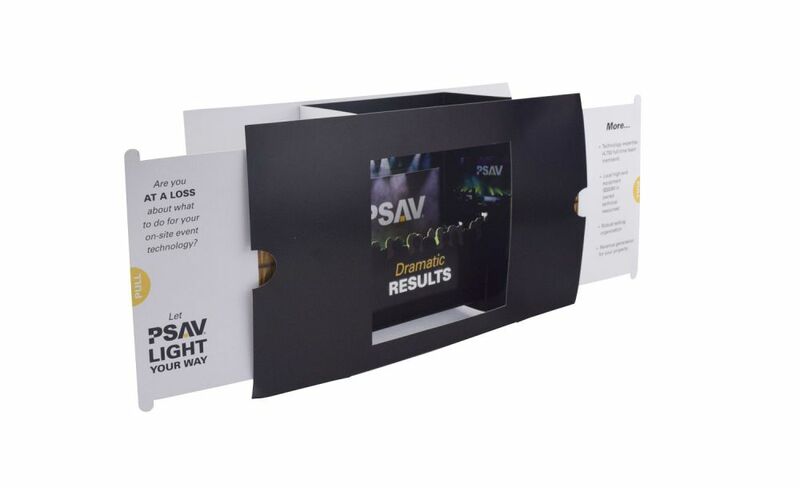 Americhip worked with PSAV to design and manufacture an engaging Multisensory direct mail piece that perfectly represented its core skill sets. At first glance, the flat mailer impresses by opening up into a 3-D Stage environment. The depth of image and the wing panels provide plenty of real estate for PSAV to highlight its unique offerings. 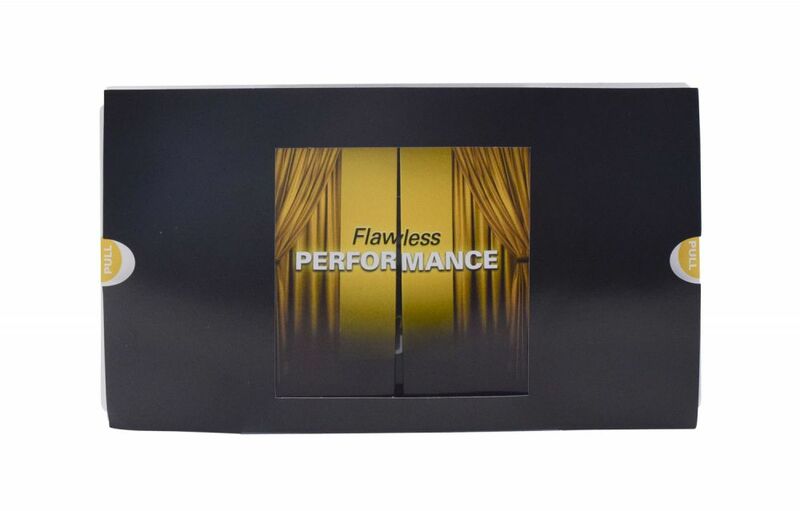 The effect is further enhanced when through the use of a hidden touch-sensitive switch an LED light is suddenly illuminated flashing a spotlight on the stage within the 3-D environment. 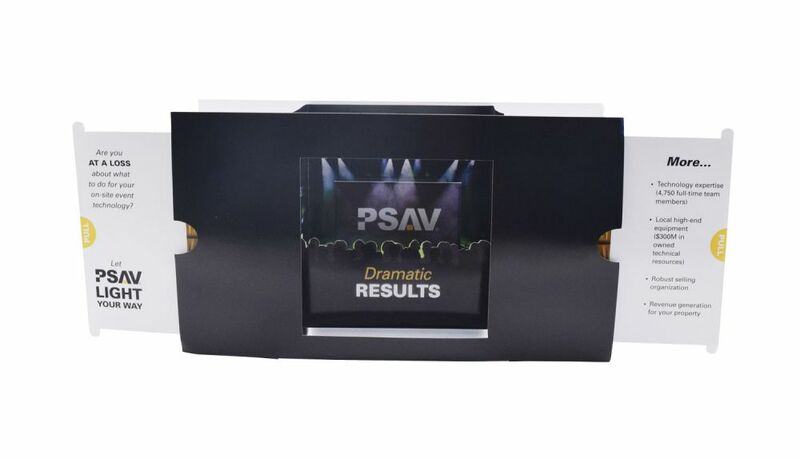 The clever blend of LED technology and World-Class Paper Engineering come to life to communicate to PSAV’s targeted prospects the engaging and interactive guest experience it can offer them.